Sankaran Sreeraman completed his B.E. in Mechanical Engineering from NIT Surathkal in the year 2002. He was a very active student and actively took part in various national level symposiums as well as bagged internships at IISc and National Aerospace Labs while still studying. Right out of college, Sankaran joined as a Management Trainee at ITC Limited and gradually scaled up in the company. By the year 2010, he had over 8 years of experience and had the Manager who handled Special Projects. In 2011, Sankaran decided to go for higher education and enrolled into the MBA course at INSEAD. This is where he met Chirag Tejuja and Anshul Gupta, who went on to become his co-founders at TabSquare. 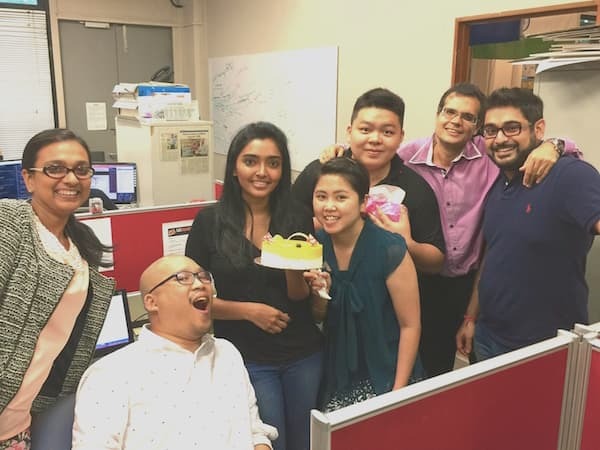 In January 2012, Sankaran and his two friends set up TabSquare - a company that builds end-to-end restaurant mobility solutions in Singapore. Their solutions include various features such as a fully customizable digital menu, upselling and menu recommendations, cloud-based management system, targeted promotions, seamless payments, a powerful data analytics dashboard and secure data backups. Within one year, TabSquare raised a funding of $480,000 from local incubator Get2Volume, along with co-funding from Singapore’s National Research Foundation. In 2015, Business Standard recognised TabSquare as one of the top startups of the year in Singapore. 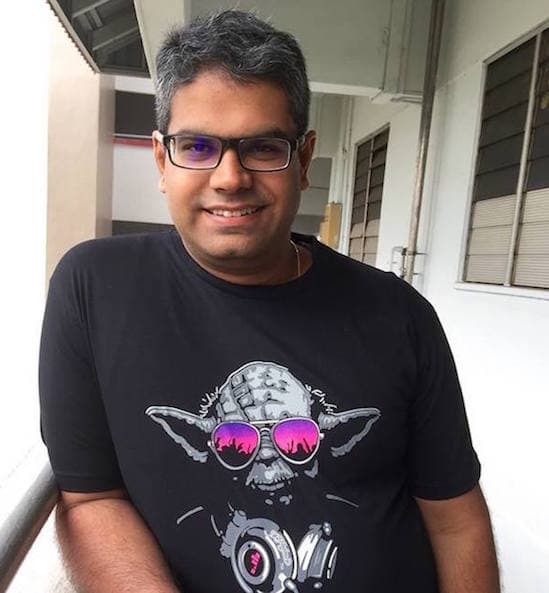 In an exclusive interview with us, we got Sankaran Sreeraman to talk about his early life, what made him create a startup of his own, the challenges they faced and a lot more. Read on! CE: Could you tell us about your growing up years and family background? Sankaran Sreeraman: I was born in Chennai in a south Indian family, but grew up in Jabalpur and Goa before heading to NIT Surathkal for a Mechanical Engineering degree. My dad was in Tata Motors and it helped me see different parts of India. Growing up in different cultures and environments were a great contributor to my personal growth and my ability to adapt to different cultures. My engineering years at NIT were special, with its beautiful campus, my great set of friends, and having time to explore my interests. I had a liking for technology and used my final year project and internships to explore how technology can be applied in mechanical engineering field. CE: Tell us more about your work experience at ITC Limited. Sankaran Sreeraman: ITC provided an excellent opportunity for professional growth. Heading straight from college, I was immediately in the company of an amazing set of peers and tackled roles that came with a lot of responsibility. I was inducted in sales, marketing, operations, HR and pretty much every key function in the organization. Over the 8+ years at ITC, I went on to handle responsibilities ranging from capex projects, factory operations, the largest roll out of SAP in the country, and new business development. Each role came with a unique set of challenges, a team to lead and progressively complex leadership roles. ITC is one of the finest institutions for learning the ropes and for personal development. CE: Who are other people behind TabSquare? Tell us more about your co-founders. Sankaran Sreeraman: I found two amazing co-founders in Chirag Tejuja and Anshul Gupta, while we were pursuing our MBAs at INSEAD. Chirag worked at BASF in international B2B and key account sales before INSEAD. Anshul, on the other hand, had graduated from IIM Kolkata and worked in Sales and Marketing at ITC for over 8 years before pursuing an international MBA degree at INSEAD. We were all from engineering background and brought with us many years of experience working in large corporations. We met at INSEAD and quickly realized that apart from our educational and professional qualifications, we had one very important thing in common: we wanted to break out of our comfort zones and build a venture of our own; something which people would find useful and which would challenge the status quo. Thus, TabSquare was born. CE: Why did you feel the need for a service like TabSquare? What kind of research & planning went on before starting this venture? Sankaran Sreeraman: The Food and Beverage sector has millions of restaurants and they face a constant need to be competitive and innovative to keep their customers happy. Our solutions complement the restaurant operations and help boost their revenues and reduce costs with minimal intervention. We felt technology has to be an enabler, and not a hassle, for the restaurant owners. Before starting the venture, we studied the current technologies used by the restaurants, the different restaurant formats, and the key problems faced by the industry. CE: How does TabSquare work? How do you ensure end-to end restaurant mobility solution? Sankaran Sreeraman: We have 2 major solutions – in-store emenu app and out-of-store mobile ordering app. Our solutions allow a restaurant to create fully customizable menus, from which their customers are able to view recommended food pairings, place orders, or even make payments. The solution is fully integrated to back-end, point-of-sale systems to enable a seamless operation. All this consumer data, such as the popularity of certain dishes on certain days or times, empower restaurant owners to provide their customers with a fast, tailored, customer experience, as well as give them greater control over the factors that affect their bottomline. CE: Which features of TabSquare’s solution are you the most proud of? Sankaran Sreeraman: We are proud of the fact that our entire solution, whether in-store or out-of-store, is completely seamless and complementary. The features of our solution work together effortlessly in order to help restaurants to maximize their revenue, so it is hard to single out any one feature. Like they say, the whole is greater than the sum of the parts, and that’s what we strive for. CE: What kind of response has TabSquare's eMenus, Mobile Ordering attracted in the last few months? Sankaran Sreeraman: The growing popularity of our eMenu solutions has resulted in an increasing number of F&B establishments implementing our products. In the last 3 years we have grown to be the leading company in this space. We were recognized as one of the top startups of 2015 in Singapore by Business Standard, and we expect to sustain this momentum well into 2016. Sankaran Sreeraman: Some of our biggest competitors are in the US. Our local competitors tend to be quite small, and have not been able to gain the traction that we have. I think the important differentiator has been our investment in design and R&D that has allowed our products to improve by leaps and bounds. We always try to make sure that our products aren’t just good on-paper – the product has to be relevant to the clients, and has to provide their customers with a genuinely enjoyable end-user experience that will keep them going back to our clients. CE: What is the TabSqaure revenue model? How big is TabSquare at the moment in terms of its clients and customers? Sankaran Sreeraman: We are on a subscription model where the clients pay us for using our solutions. We are currently no. 1 in Singapore and hope to expand to other developing and developed markets in the coming year. CE: What challenges did you face to get the idea off the ground? What were your key learnings from that experience? Sankaran Sreeraman: Biggest challenge/realization for us was that the restaurants operate quite differently depending on the size, cuisine, format etc. It took us a while to tailor our product to each of these unique requirements while still keeping our product scalable. Today our product works across cafes, bars, sit-down restaurants, and across different cuisines, such as Japanese, Chinese, Indian, Vietnamese, and Western, to name a few. CE: What are your thoughts about entrepreneurship? What is the best and worst part about being a startup owner? Sankaran Sreeraman: Entrepreneurship is a great learning experience. It teaches you to make tough decisions, manage expectations from customers, employees, and investors, all while making sure that we are moving in the right direction. The best part is the learning and personal growth; It makes the individual more grounded, practical, and willing to take risks. There probably is no worst part, as the parts which seemed tough at the time turned out, in retrospect, to be fantastic learning experiences. CE: Any message for engineers looking to startup? Sankaran Sreeraman: Just go ahead and give it a shot. Speak to other entrepreneurs who have been there, and done that, to get a sense of your direction. Don’t just blindly ram ahead. Be prepared to constantly learn and have an open mind.